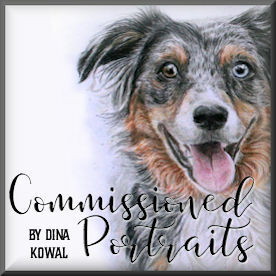 Dina Kowal Creative: Mix-Ability Monochrome, and a giveaway! Mix-Ability Monochrome, and a giveaway! This week's Mix-Ability challenge is to create a monochrome project. A few months ago I received a fun package of dies from an ebay store I've frequented for great deals on Quickutz dies - Creating Everlasting Memories. CEM has come out with their own line of steel wafer dies called My Treasured Kutz, and they sent me a few to test out. (Keep reading for a chance to win some)! I treated myself to some Hydrus watercolors for Christmas, and had a little fun playing with backgrounds to cut from - I tell ya, one drop of these paints goes such a long way! This background was done with a drop of the Sap Green and a drop of Payne's Gray along with some spritzed water... actually I got 2 backgrounds from those 2 drops! Here's the ivy die, so you can see the format - all the elements are included on a single die. The dies are steel and made in China - they have quite a variety for their first release and more on the way. Here's a closer look at the leaves and the Garden Trellis - I was pleasantly surprised at how well the Spellbinders Craft Tool N' One worked to clean out every one of those little chads while the cut was still in the die. The sentiment I used is from my new clear set, Maya. Just for fun, I'd like to give a couple of these dies sets away! 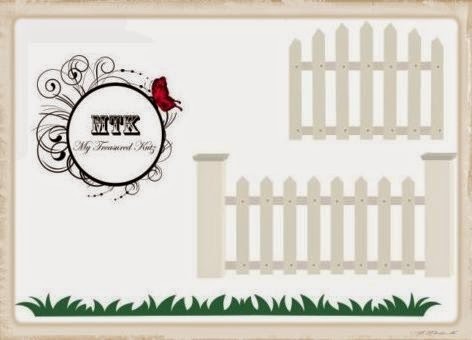 I have a Petite Grass Border die and the White Picket Fence set up for grabs - leave a comment by midnight EST Sunday for a chance to win! I'll announce the winner in my Monday post - I'll tuck in my ivy card as well! I can't believe I've never seen an ivy die set before - the result is fabulous, love the varigated colour on the pretty leaves, especially against the crisp white! Absolutely beautiful card. Tell us more about the dies. What a gorgeous card! Green is my favorite color, and the ivy reminds me of my grandmother. It was her favorite motif. Great card. The colors are beautiful and its such a classic. You could use lots of different sentiments! Your work is always so great! This is such a beautiful card! I LOVE the way you created the background & the ivy! This would make the perfect card for my son-in-law who is going through some difficult health issues right now. You always have so many creative ideas! That ivy is adorable. Thanks for sharing and the chance to win such a fantastic die. Beautiful card! The ivy is gorgeous! That little bit of paint made beautiful ivy leaves! love visiting - you do the most wonderful things - and I love that you expose me to new products! Dina, those Hydrus watercolors look and sound so interesting! You've made a gorgeous card with that ivy die! I've been enjoying your work a lot. I just love this garden themed card. It reminds me that the spring is just around the corner. Beautiful! Is there a tutorial how to use the Hydrus? The ivy looks real! Your work is so amazing...thank you for sharing! Dina, your card is lovely. It's nice to play with new products. Your vines turned out beautifully. Thanks for the chance to win. Wow! I love your card! Thank you for sharing and for the chance to win. So classic and beautiful, love those pretty green ivy against white, an eye catching creation! I recently order an ivy die cut and lots of idea are floating in my mind:) Thanks for featuring this innovative idea! And thanks for the chance to win! Amazing vine on the trellis. The detail so so rewarding with the new to me inks! your card is gorgeous and such a beautiful ivy die. Thank you for this giveaway opportunity. Very pretty card, Dina! Thanks for the opportunity to win the dies and a card made by you! Love the pop of green against the white! 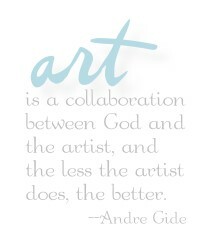 Inspires me to get my watercolor mojo going! I love green, it might be my favorite color, so fresth! This is an interesting die concept, all in one panel like that! And I've never heard of this pigment drops you're just full of new toys today! Thank you for sharing this gorgeous ivy card! What an unusual die! I am heading over to eBay & see what else they offer, thanx for the chance to win! WOW! I really like your ivy card..
Wow...such a pretty card!! Love my dues, always looking for new inspiration! TFS! Such a pretty card!! Love using dies. Those dies look amazing! Beautiful! I really needed this card inspiration a month ago when I had a set of tri-fold lattice cards that I had absolutely no clue what to do with. That die would have been great to have. Now I'll have to buy more since I now have your great example to go by. Of course I need the die to go with them. Thank you!!! Your projects are so beautiful! The leaves on this card appear to be real, and I just want to reach into my computer and feel them! Gorgeous! Oh my GOODNESS Dina, your card is STUNNING! And I LOVE that ivy die! I would love to win that! Thanks for the opportunity! This is so beautiful Dina, you matched the color of the ivy leaves perfectly to the real thing. And your card is amazing, the lattice trellis is the perfect background for this gorgeous ivy. Thank you for sharing and for the chance to win this awesome dies. Those paints made for very lovely ivy, pretty background for them! That is one of the most beautiful cards ever!!! Just love the dies. that ivy set is awesome. love your card. thanks for the chance to win some. I love the technique you used for the variegation. Dina, you've done it again. Your blog always brings me inspiration and joy. Thanks for sharing this information about these dies, they are great. What a beautiful card. Love the dies. Your blog is so informative and inspirational. Beautiful card! Thanks for the chance to win. Wow! Such a pretty card, love your work! Thanks for a chance to win these dies! Love the ivy card...I have never seen the ivy die before but will have to took for it. I love the ivy set..wow! Your card is so refreshing...just so clean looking. Beautiful! Very pretty card. That die looks just like trellis. The dies are gorgeous - thanks for the chance to win them. If we have a choice, I would like the grass die. :) Again, thanks for the chance to win. Love the look you got with watercolors for the leaves. Pretty card. Thanks for the giveaway. Oh wow!! What a gorgeous card and the dies are so beautiful!! Dies add so much texture to otherwise flat cards and are fun to use. Thank you for sharing your fun cards! Ditto the earlier comments about not seeing an ivy set before. These are gorgeous and lots of people love ivy plants (they were a big part of my wedding flower arrangements). Thanks for the prize offer and for letting us in on the new line of dies. love your ivy card!! love that die!! thanks for a chance to win!! Really wonderful card and amazing use of only 2 drops of ink! I think the ivy would look great with the fence dies, too! The card is beautiful. I love the lattice and the watercolor coloring of the ivy die cuts. Great idea! This is a lovely giveaway and how cool of you to include the sample card as well. Please make sure you sign the card somewhere. I know there are plenty of people (like me) who treasure handmade designer cards. Gorgeous card!! I love that ivy die! And now you tell me there is another die company out there! :) I love dies and will have to check it out!! I love both the fence and the grass dies, but I'm also thrilled to receive your finished card! What a treat that would be!! Thanks for the opportunity! Great card Dina, the colours are beautiful and the dies are super. Ivy always looks good on a card. I also like the lattice die. Love the ivy! The colors and arrangement on your card are fabulous. Hi Dina, I love the dies and I would frame your card and put it in my craft room to remind me Spring is on the way!! !..I will leave it up all year. Love your work. Very nice card. Love the lattice background die. You always make me sigh with your cards and knowledge of color and creativity! Thanks for the opportunity to win one of these fantastic dies! I love, love, love the ivy you made and now have a yearning for the die!! Pretty card!! Really love the droplet effect. Luckily I have an ivy die but not quite like yours. Love this card, especially like the ivy die, have never seen that one. Thankyou for the chance to win. I love how you created a veriegated background of colors using the watercolor dyes. It turned out perfect to use on your new ivy dies. I hope the new die company you told us about can come up with some new designs and ideas. All the die-making companies are starting to look alike. Your card is so beautiful!!! thanks for the big opportunity to win! What a beautiful card. I sure would love to win. Thanks for the chance. Wow! I love the color of the ivy, and such a simple process. I'm so glad that you shared this tip, and I sit here wondering, why didn't I think to make them more realistic this way. Such a beautiful card, and the extra bonus is your giveaway. Thank you for that. Your ivy is exquisite! I need to start playing with watercolor and spray inks. The card is amazing too! I'm always amazed by your beautiful work. Love this card. Wow! the color from two drops of those watercolors is incredible! The Ivy turned out amazing and looks beautiful on the trellis! The entire card is beautiful! I love the ivy die. Definitely taking a look at the new dies CEM has released! Thanks for a chance to win a couple of these dies! I like this look very much. It is a beautifully layered card. I've been looking at Hydrus Watercolours for some time they are fascinating. I wonder if they behave similarly to distress re-inkers? I never win. but thought I would try anyway as I would LOVE to win the die. The Ivy is awesome!! Thanks for the opportunity. Just loved your ivy card. Had to purchase the die!Would loveto win the card. Wow, this is beautiful. I was wondering how/where you got the ivy look. What a great card.Thanks for sharing. I love your Ivy and Trellis card! So very beautiful!!! Thanks for the inspiration - and for a chance to win your giveaway. Always love, love, love dies!!! Thanks! Thanks for the chance to win. I really appreciate your creativity! I have several leaf punches, and 2 or 3 of those are ivy. This is gonna be fun! I love this technique! Thanks for inspiring me (yet again) -- I'm going to have to get my hands on these products! Thanks also for showing the new dies. The ivy is so much fun. I'm going to have to find a source for these dies! I did not know about those watercolor paint inks.....I love learning about new products. Your work is beautiful! I need ivy dies for graduation cards!